The strangest rumour doing the rounds of late in the games industry has to have been the one about Grand Theft Auto V.
Had the rumour not emanated from the usually fairly reliable source that is Game Informer magazine we would most likely have dismissed it without too much thought. "We're not talking about new DLC or a collection of previously available DLC, we're talking about a full retail game," reads the original story in Game Informer Issue 190. "We expect this title to follow the suit of previous GTAs and use a subtitle such as GTA: San Andreas, etc. Tokyo might be a possible setting for the game, but details are non-existent at this time." The article went on to claim that the rumoured new GTA game would be available by Christmas 2009. A Rockstar spokesperson told Kotaku this week that the rumours were rubbish. 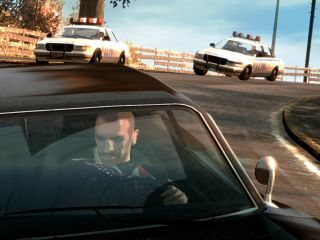 TechRadar has contacted Rockstar in the UK today to find out more about both the near-future and longer-term plans for the Grand Theft Auto franchise.